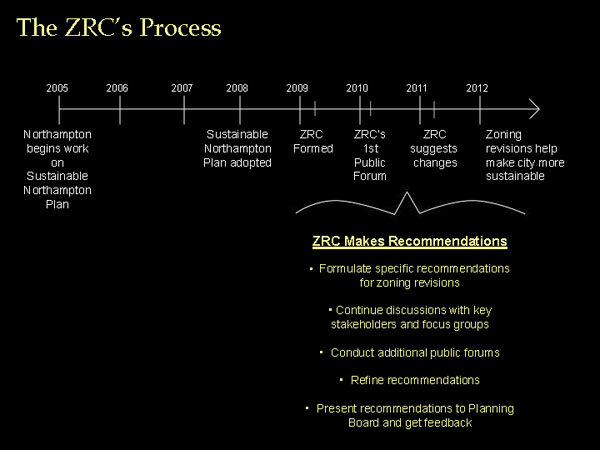 Here is a blip.tv video from the March 17 public forum organized by the Zoning Revisions Committee. This video is 1 hour 7 minutes long and was recorded by Lachlan Ziegler. Download a PDF of the slides from the presentation. The Zoning Revisions Committee will discuss the results of the forum at its March 31 public meeting, 7-9pm in City Council Chambers.